Due to the enthusiasm of the audience during Professor Collins's first seminar, he was not able to finish his original presentation. However, he has graciously volunteered to give a second seminar to bring us up to date on some recent activity in the IP case law. No need to have attended the first seminar to attend this one! Lunch will be provided so please RSVP! 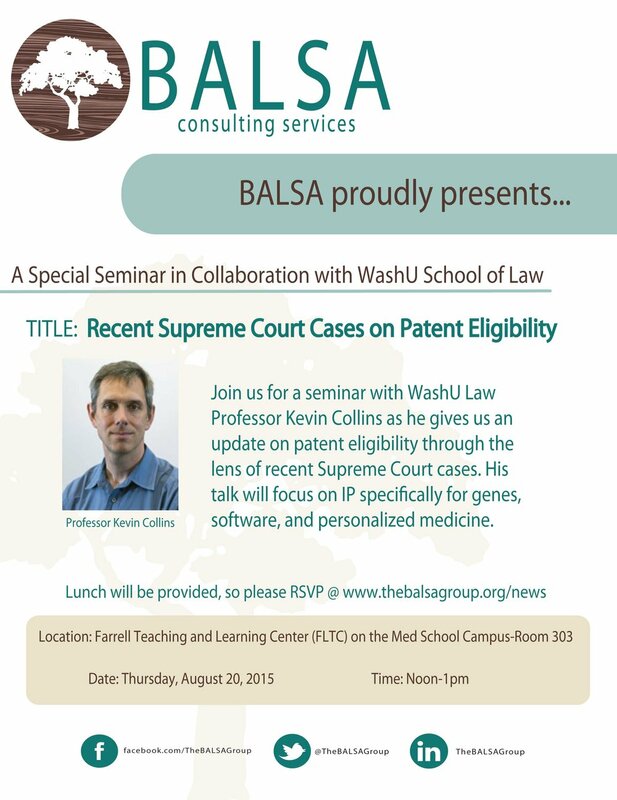 Professor Collins is a scholar and teacher of intellectual property law. He taught at the Indiana University Maurer School of Law in Bloomington until, in 2010, he joined the faculty at the Washington University School of Law in St. Louis. He earned his BA in Molecular Biophysics and Biochemistry from Yale and his JD from Stanford. He clerked for Judge Sonia Sotomayor on the Second Circuit Court of Appeals and Judge Raymond Clevenger III on the Federal Circuit Court of Appeals. Having earned an M. Arch. from Columbia and worked as a project architect and lead designer with Bernard Tschumi Architects, Professor Collins is also interested in the intersection of law and architecture. © 2018 The BALSA Group. All rights reserved.